TEMPE, Ariz. – October 28, 2013 – McFarlane Toys announced it is creating a line of Ubisoft® Rabbids® action-figures, plush and novelty toys based on the successful Rabbids video game franchise and Rabbids Invasion, the new 26-episode CG animated television series, which debuted in August and became a hit on Nickelodeon. 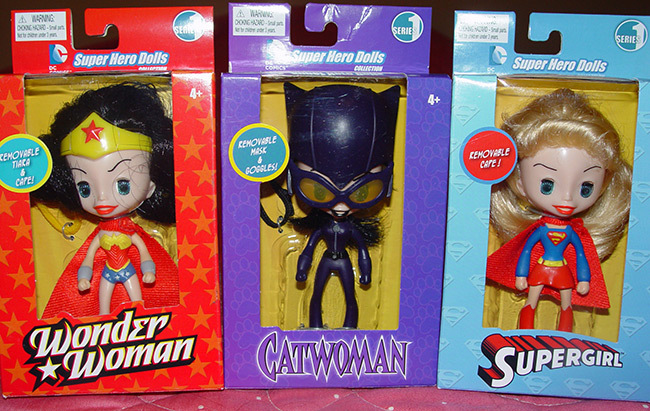 The extensive toy line will start hitting retailers in spring 2014. 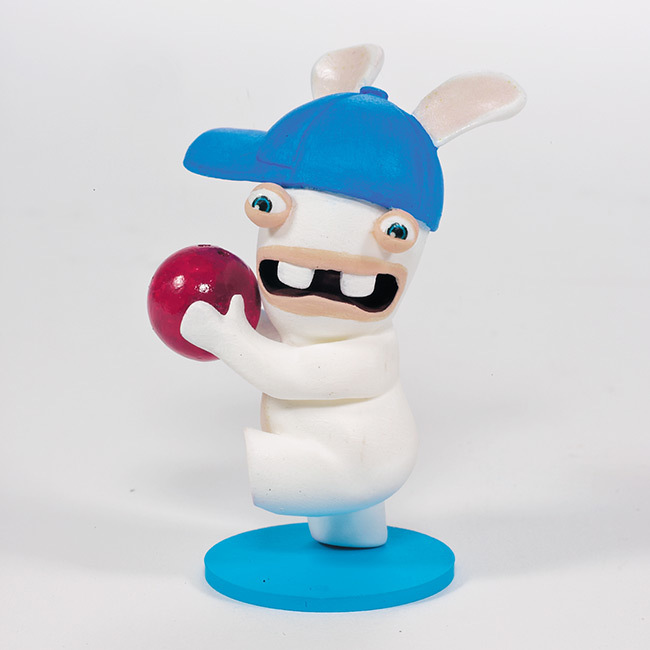 McFarlane Toys will produce a full product line inspired by the hilarious, impulsive and pop-culture loving Rabbids. 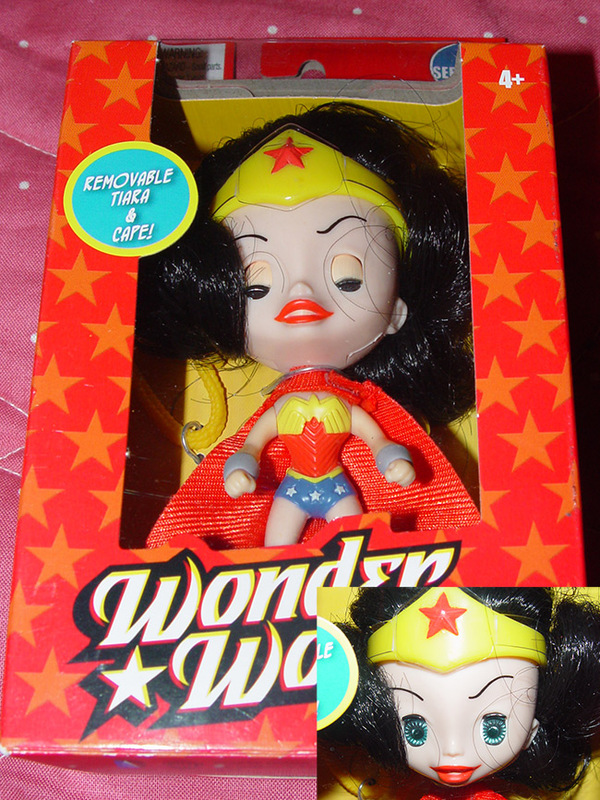 Products will include figures, customizable figures, plush, collectible figures and accessories in a variation of sizes and materials, as well as novelty toys with electronic light and sound features. The suggested retail prices will range from $3.99 and up. September 23, 2013 - Your days of McFarlane Toys online store withdrawals have come to an end. Our new and improved McFarlane Toys online store is now officially online for its grand-reopening event. But this isn't just a reopening, it's the launch of a brand spank'n new URL. 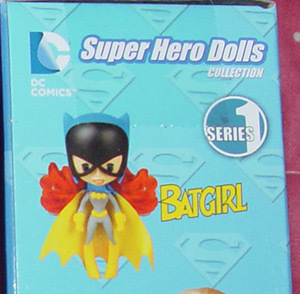 So be sure to point your browsers to www.McfarlaneToysStore.com for all your McFarlane action figure needs. 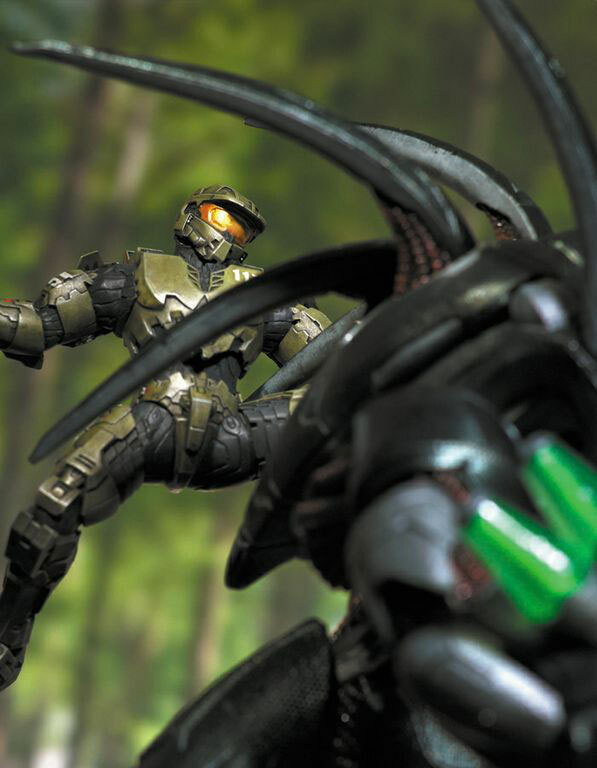 And you may want to have your finger on the refresh button, because to celebrate the new McFarlane Toys online store, we will be giving 10% OFF on new orders for a limited time. So be sure to stop buy and check out the new look and products, and be sure to return often to pick up all the new products available from The Walking Dead, Assassin's Creed, Halo4, NFL, MLB, NBA, and NHL. Also keep an eye out for our new resin statues that will release in December and will showcase some of the most iconic characters from the video game and entertainment universe. In Stores Now... And There Is No Escape! 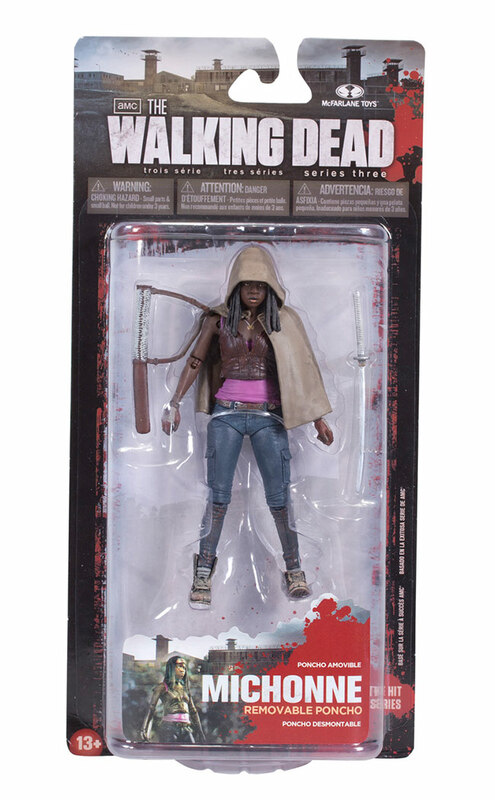 Tempe, Ariz. - March 26, 2013 – Sunday night will bring the highly anticipated season 3 finale of AMC's The Walking Dead, and just in time for the event is McFarlane Toys newest line of AMC The Walking Dead TV action figures of Merle Dixon, Michonne, Autopsy Zombie, Michonne's Zombie Pet 1 and Pet 2. 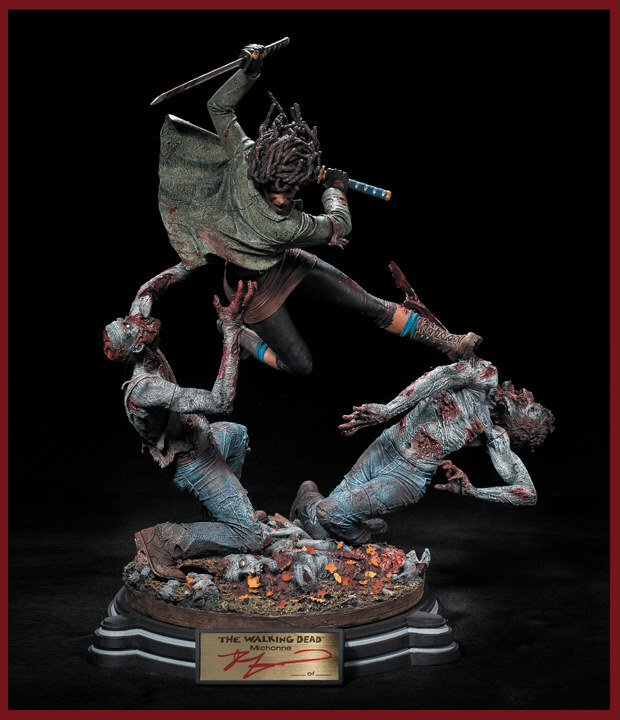 Some of this season's most iconic characters and zombies have been immortalized by McFarlane Toys. This third figure line, in stores now showcases two new lethal zombie slayers, along with three more decaying zombies from the show. Now lock your doors and grab your favorite brain-busting utensil, because you'll swear these figures are really coming to devour you! Tempe, Ariz. - Friday, Nov. 16, 2012 – If you're looking to fill out your Halo collection or pick up some of the new sports and The Walking Dead figures for the holidays, you might want to call in sick and stay by your computer this Cyber Monday! 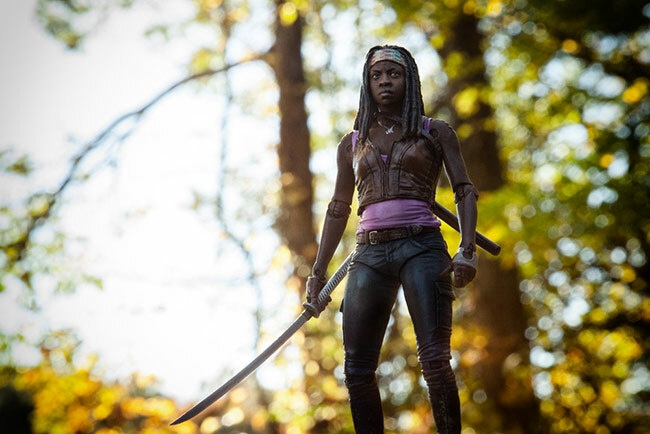 McFarlane Toys' online store has announced that everything storewide will be 30% off on Monday, November 26 from 12:01 am through 11:59 pm (PST). 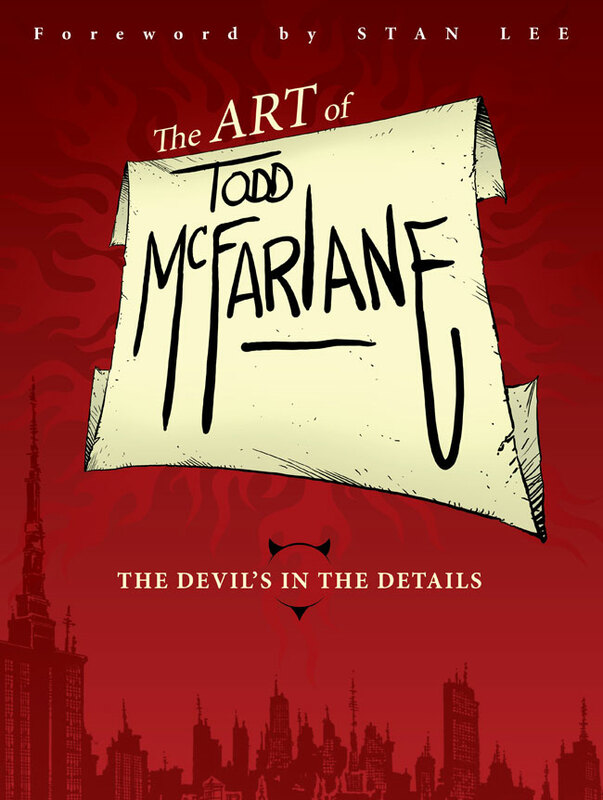 From single figures to deluxe boxed sets and multipacks, the McFarlane Toys' online store has it all! 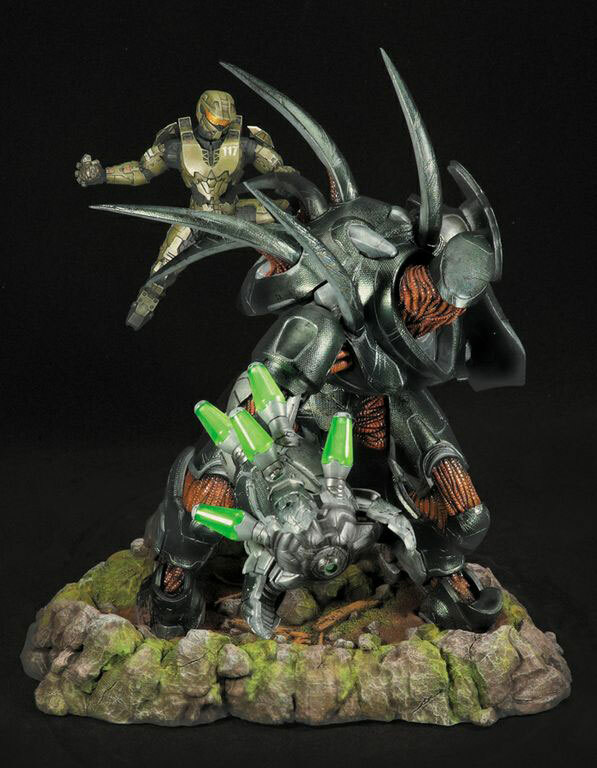 Collectors can pick up all their favorite McFarlane Toys products, such as Halo 4, Halo Micro Ops, Halo Anniversary, and Halo: Reach; league-licensed NFL, MLB, NBA, NHL, and College Football sports figures; and figures inspired by the highly-acclaimed AMC television show, The Walking Dead!